Four years ago, the very first streaming multichannel video bundle (sometimes called a vMVPD) hit the market. That bundle -- Sling TV -- was owned by satellite TV giant Dish Networks, and quickly ensconced itself as the market leader for consumers looking to stream TV channels without the traditional pay-TV contract. A year and a half later, Dish’s top competitor DirecTV launched its own version of a streaming bundle, DirecTV Now. What followed those launches was a torrent of new entrants, including startups like Philo and FuboTV, and products from existing streaming players such as Hulu and YouTube. At the end of 2018, Sling had 2.4 million subscribers, while DirecTV Now had 1.6 million subscribers, leading the market. Now, however, the satellite giants’ leadership in the streaming bundle space appears to be slipping away. According to Bloomberg, Hulu and YouTube now have about three million subscribers, with Hulu closing in on two million and YouTube topping one million subscribers. This is despite YouTube and Hulu’s services only launching in mid-2017, in limited markets. Their growth since then has been explosive, quickly diminishing the lead that the satellite companies secured with their early launches. That growth, combined with subscriber stagnation at DirecTV Now and slow growth at Sling, suggest that Hulu and YouTube TV will soon be leading the streaming bundle pack. That has implications for consumers looking to replace their pricey cable TV bill, and for marketers trying to reach consumers in an OTT environment. The success of Hulu and YouTube TV shows the power of marketing and consumer experience. On the marketing side, these two services are far outspending their competition, sponsoring the World Series, Stanley Cup, NBA Finals and Super Bowl pre-game show in a bid to gain consumer awareness. On the consumer experience side, these companies are seen as having the slickest and most user-friendly experiences. In a fragmented media environment, a great user experience can make or break a streaming service. For marketers, both streaming services have also been innovative in their advertising products. Hulu has expanded its programmatic sales options, and is experimenting with other ad products such as ads in downloaded offline videos. 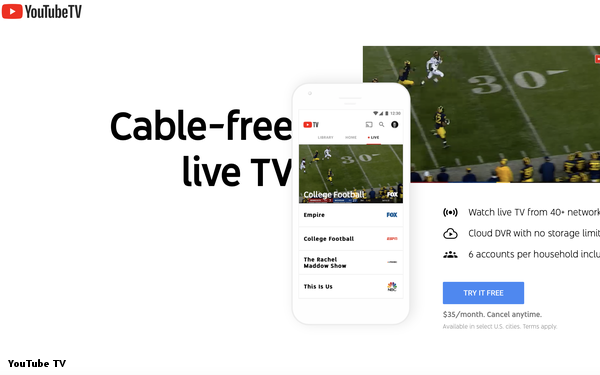 YouTube TV, meanwhile, is benefitting from its corporate owner Google, with ad services integrated into Google’s larger suite of solutions. Sling has responded to this renewed competition by offering new promotional pricing, which it hopes to make up for with new advanced advertising revenue. DirecTV Now, by comparison, is raising prices in a bid to ensure profitability, part of a long-term plan to move over satellite subscribers. Parent company AT&T is also rolling out less expensive streaming offerings to complement the larger DirecTV Now bundles. These changes portend a shift in the streaming video bundle landscape, with the satellite companies trying to carve out a profitable way forward, while Hulu and YouTube spend big to secure as much market share as possible.